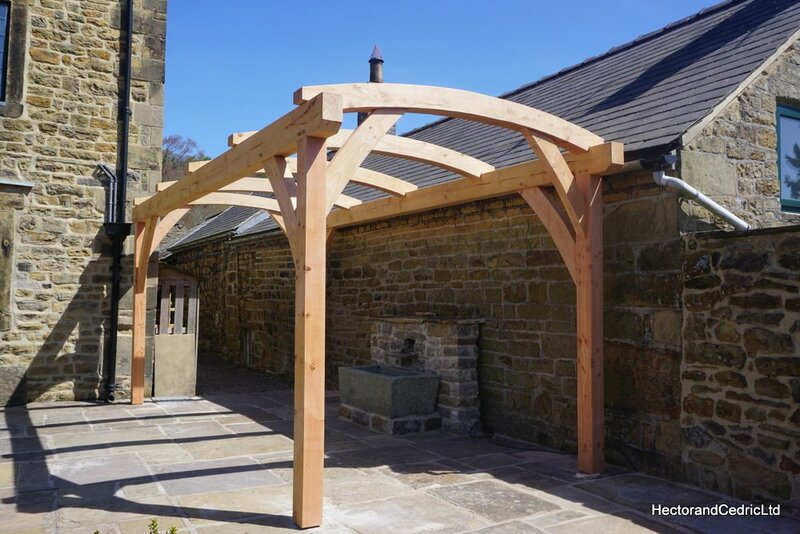 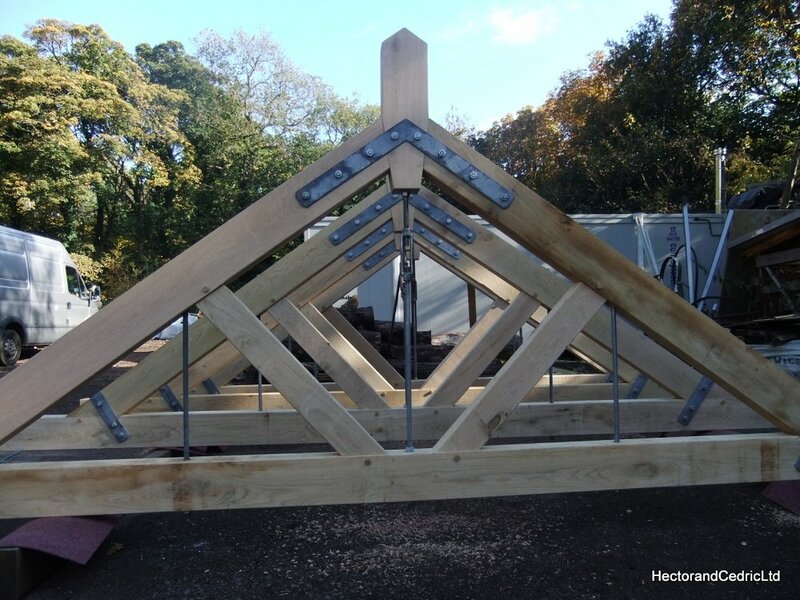 This Douglas Fir timber framed car port with a poly carbonate roof is a attractive and simple way to protect and store your car. 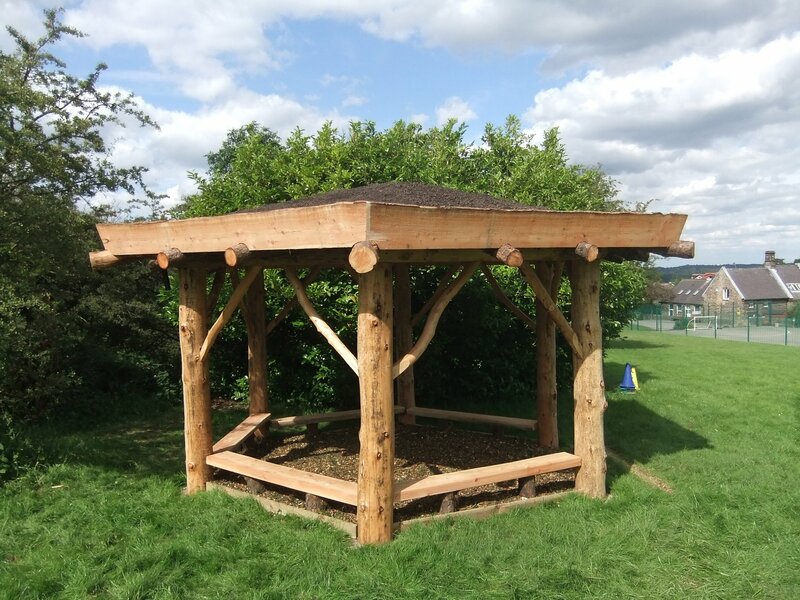 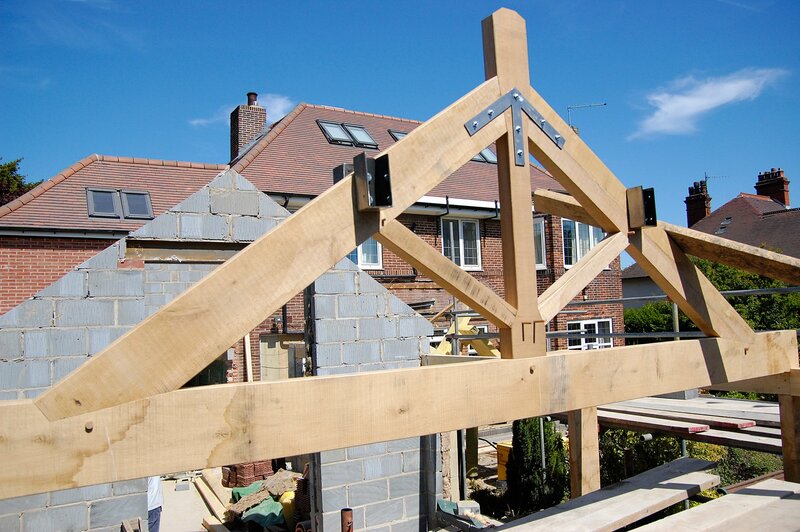 Trellis for climbing plants could be added to combine this structure in to a attractive pergola. 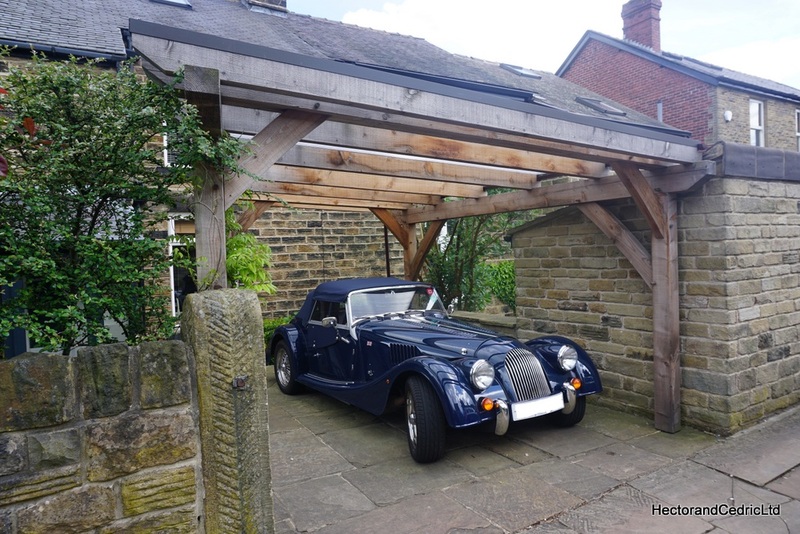 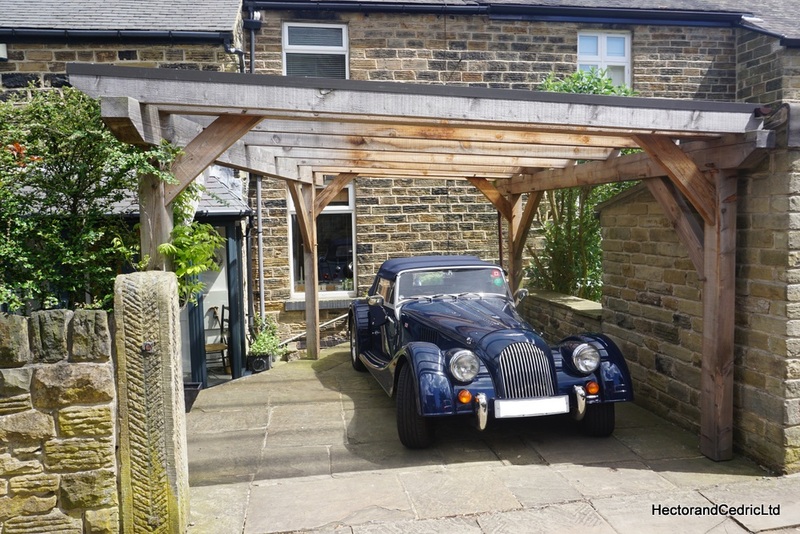 We can design and build carports and garages to suit your specifications and budget; please get in touch for advice and a free quotation.